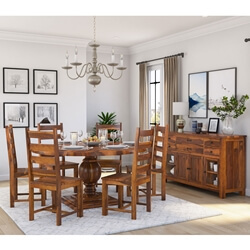 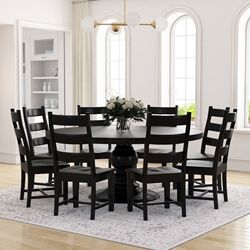 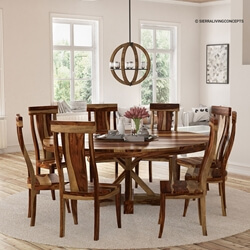 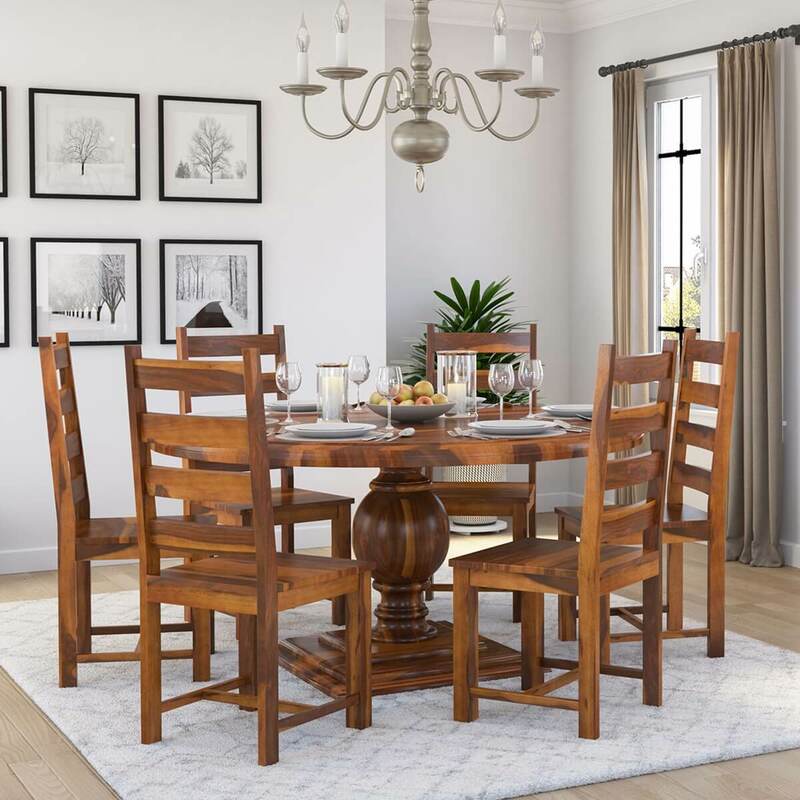 Use it in your dining space or kitchen, the Cloverdale Solid Wood Round Dining Table With 6 Chairs Set will enliven any space with its striking looks. 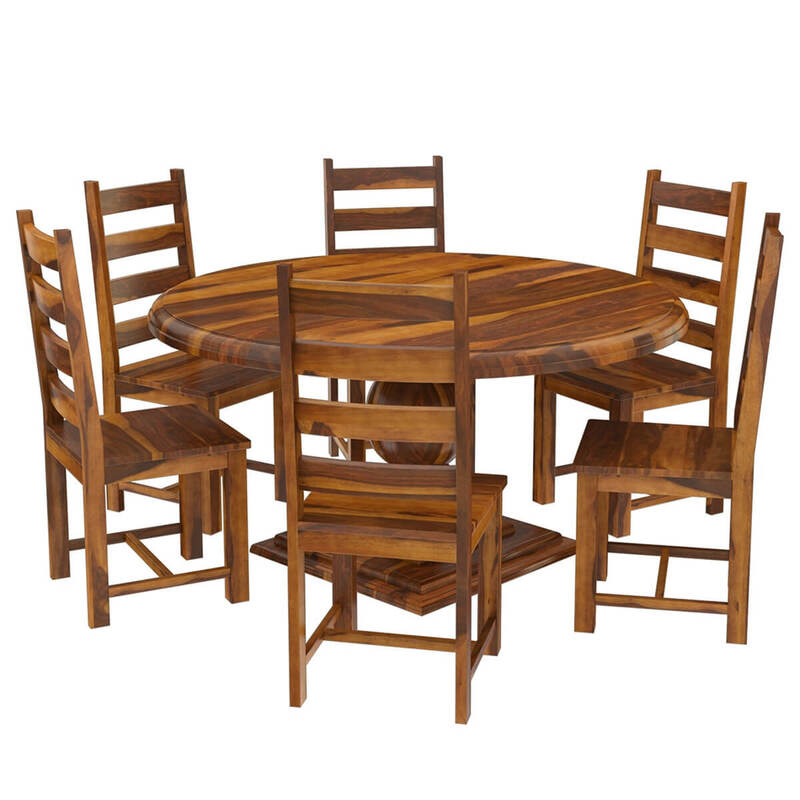 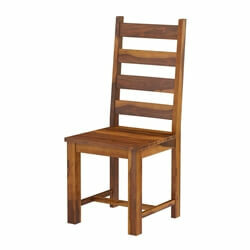 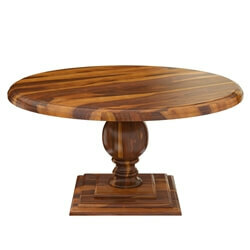 The table set comprises 6 ladder-back chairs and a round pedestal table with a natural finish, having a patterned seat. 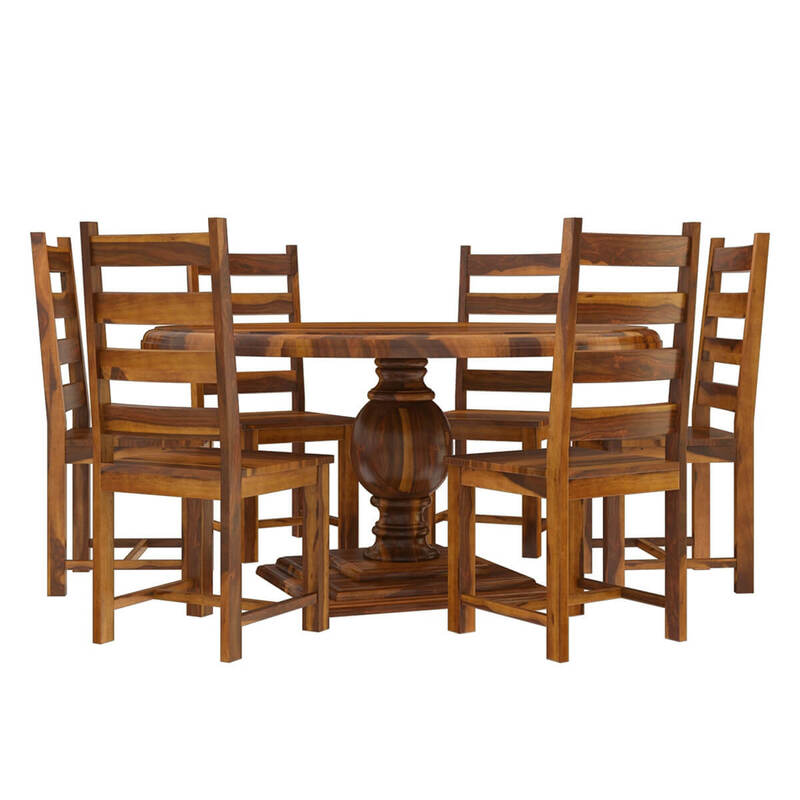 The round dining table set exudes classic elegance through its construction to match up with your traditional or transitional decor. 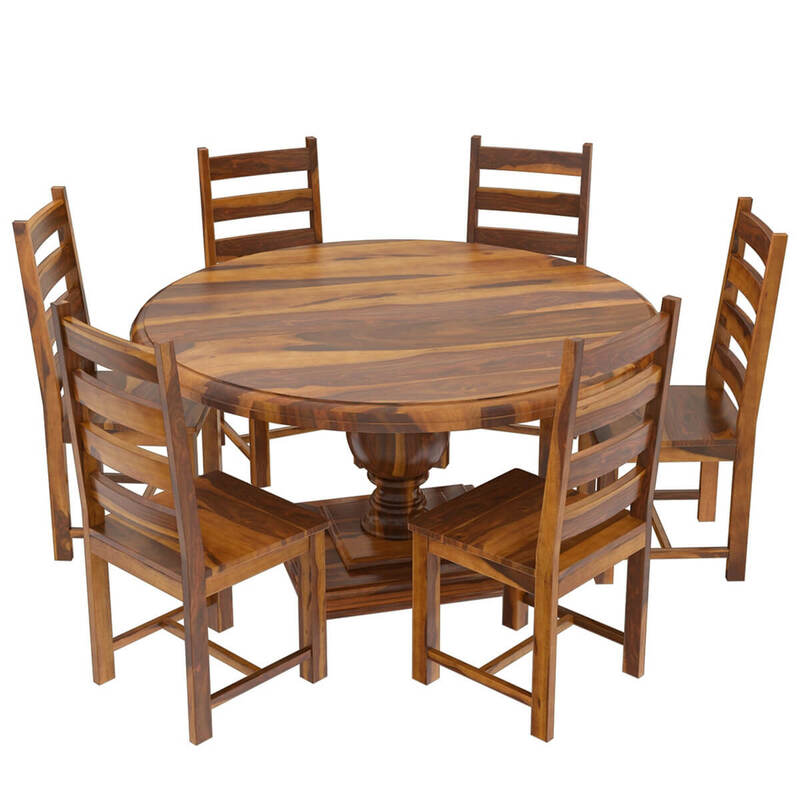 Enjoy delicious breakfast with family or a formal dinner with guests, the round dining table set will only add to the experience. 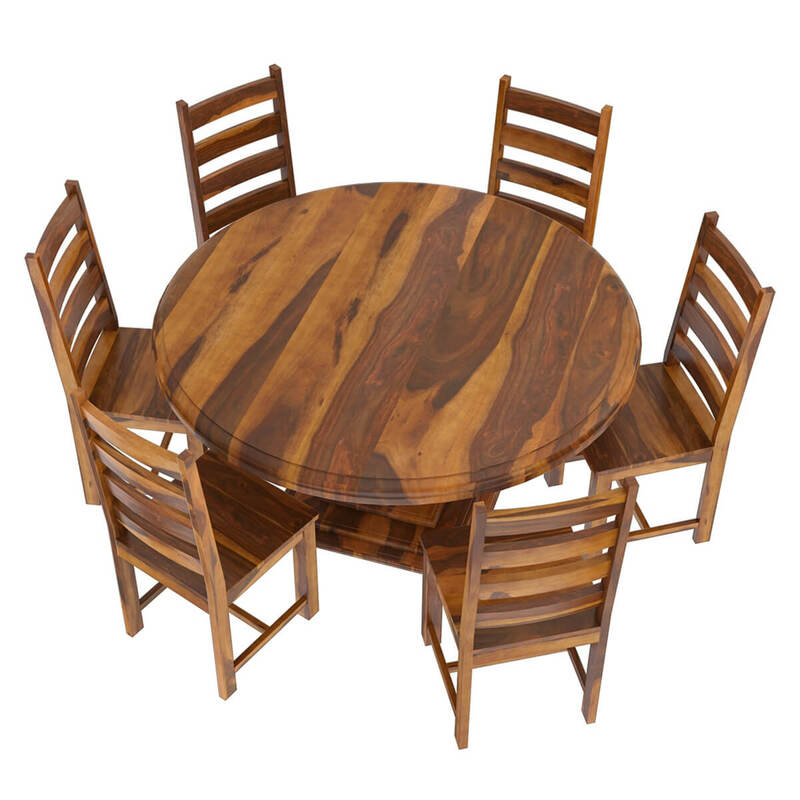 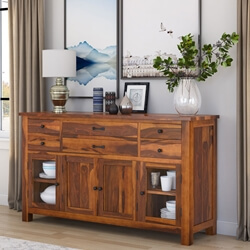 The dining table set is made from the solid wood, which is a solid hardwood ideal for sturdiness and furniture items put to daily use.